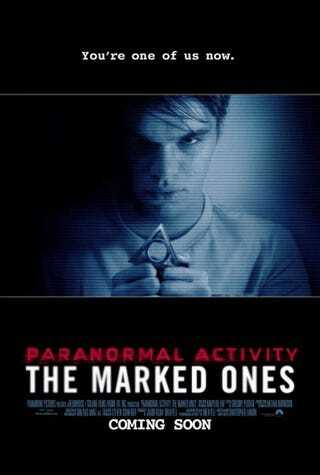 I caught an advance showing of Paranormal Activity: The Marked Ones and really enjoyed it. It was a significant improvement over the poor 4th installment and advanced the overall story in very interesting ways. The story follows high school graduate Jessie and his friends and family on their road to being demon food. It fills in quite a bit of backstory, like who stole the tapes that make up PA 3 and what happened off-camera at the end of PA 1. Despite being a spin-off, the movie relies heavily on the viewer having caught the other movies in the series, not a problem for me, but if you have missed one or two I would catch up before seeing this one. The movie is more interested in telling its story than being scary. There are some good jump scare moments and the atmosphere is as always very creepy, but it did not disturb me the way the PA 3 did. The plan of the witches starts to come into focus, and that is one of the developments that could sink the series for me, and I'm a pretty big fan. The coven is given a name, The Midwives, and a goal, building an army of demon-children, purpose unknown. But I pretty sure there is nothing good that can be done with an army of demon-children. Also they can manipulate time and space. Yep, the witches can time travel. Deal with it. One of the most intense moments in the movie is when the grandmother of the protagonist tries to perform a cleansing ritual on her possessed grandson using an egg. His response? To warp space and time in the living room. Egg vs temporal and spatial superpowers? That's a tough one. Let's hope he can remember how to fly the TARDIS in time, or else we are all doomed to filming random crap for an hour before making increasingly bad decisions and dying horribly in the last half-hour of our lives.